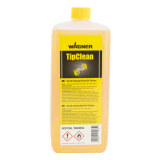 Wagner TipClean Simple to clean your tips with TipClean. TipClean is a handy product from Wagner for cleaning your sprayer tips (nozzles) anywhere, anytime, without getting your hands dirty. There are no special instructions or arrangements necessary. 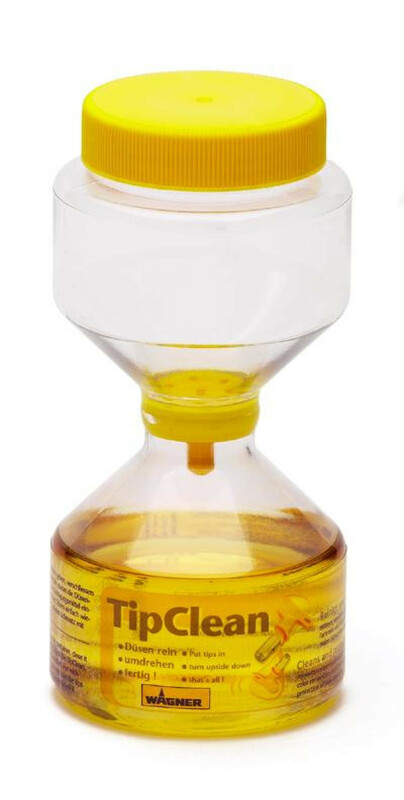 Just open the lid, place the nozzles in the container, then place upright. Touch briefly and the nozzle cleaning starts. The nozzle is one of the most important parts of your airless paint sprayer. It is not always easy to clean nozzles for reuse. With TipClean, you can do this quickly and simply.